Six year ago, I decided to make a comedy about the paradox of family – how it can simultaneously be our source of strength and the root of all our problems, and for better or worse, it’s forever. This week my debut feature film, “The Discoverers,” rolls out on VOD and DVD capping off an award-winning festival run and theatrical release. Making my first feature was one of the most difficult and rewarding experiences of my life. It was honor and privilege to work with an all-star cast and crew of 200+ creative collaborators who helped me learn these lessons that I hope will inspire other first-timers to realize their vision. Ultimately, as the director, your job is to become the emotional truth barometer on set. So when the camera starts rolling, forget about everything else and just try to feel the performance on each take. I liked to stand as close to the lens as our AC would let me to feel what the camera is recording. From editing to finding music to color correct and the mix, feel the movie you want the audience to experience. 2. Find your key frames. Prepping “The Discoverers,” I shotlisted and storyboarded, but I knew we wouldn’t have time to do everything I imagined on paper. I developed a key frame system, which became extremely helpful on set. The idea is to try to distill each scene down to a single image that represents what the scene must achieve dramatically. It may be an extreme wide shot that acts like a punch in the gut, a lyrical tracking shot, or the close up you’re saving for emotional impact. When you have to start combining shots on set, you’ll know the essential image you’ll need for each scene to serve its dramatic function. 3. Your film is only as good as your collaborators. I think it was Elia Kazan who first said 90% of directing is casting. While it’s certainly true with actors, I think the same principal applies to your creative crew. Have a clear aesthetic vision and create a space where people can bring their talent and experience to do their best work. Find collaborators who will challenge your ideas and push you creatively. We had ambitious goals and limited resources, but everyone stretched themselves to make something much grander than any one of us could have imagined. I started collecting images when I was first writing “The Discoverers,” which I eventually made into a printed book. It’s an opportunity to show people the film you want to make: how light, color, and form will function, character sketches, location ideas, tone exploration, how you’ll shoot different locations, etc. It was a helpful tool to show investors, became a great conversation starter when interviewing creative keys and became the keystone for refining the film’s aesthetic design. I suggest getting a cheap portable USB scanner for image collection. I made pilgrimages to the Mid-Manhattan Picture Library to leaf through their vast image files and scoured the Columbia and NYPL arts libraries to scan photographs, paintings, and other visual inspiration. I also took film screen-grabs and combed Flickr, Google and Getty Images for additional material. 5. Know your film’s spine. Your film’s spine will drive every aesthetic decision you make, so develop a clear and focused throughline. In prep and on set, you will be asked thousands of questions: what should the protagonist’s house look like; which jacket should they wear; what color should we paint the walls; what kind of camera language should we use; what about lighting? With a cohesive spine, you can vet each choice through that prism. Since “The Discoverers” was a return to the pastoral story where each of the characters stripped from their urban selves saw themselves and each other in a new light, we developed an aesthetic arc with four movements (city, suburbs, forest, Pacific) where light, color, camera movement, and form could evolve over the course of their journey. 6. Help your actors build characters before coming to set. Hopefully you’ll get some rehearsal time, but even before your actors get to set, you can help them build their characters. Take this time to learn their language – are they method or Meisner, what’s their process? I shared my visual research, music, books, and movies, we talked backstories, and I gave them homework. 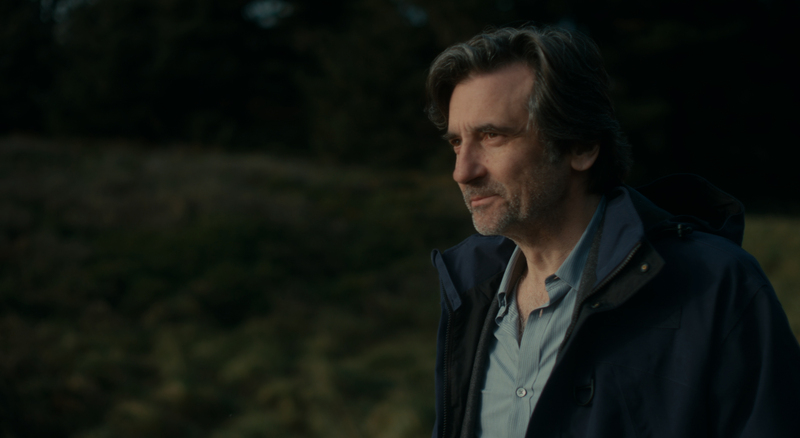 I asked Griffin Dunne, who plays an academic, to immerse himself in Lewis and Clark literature and sent him on a research expedition to a historical archive. For Cara Buono, I asked her to read about Alice Waters, speak with Etsy crafters, and chat with Hollywood Farmers Market vendors. I had Devon Graye read Rilke’s Letters To A Young Poet, hang out with skaters, and send me drawings. Madeleine Martin went vegan and became a Mother Jones, Howard Zinn and Barbara Ehrenreich expert. 7. Always carry a pocketful of toys. I started collecting toys to experiment with blocking and camera movement when I was making short films. In the beginning, spaceships and animals were actor stand-ins until I upgraded to wooden artist models you can find at any art supply store. During prep I blocked out scenes with my DP and we’d photograph reference shots. On set I’d always carry a pocketful of toys and matchbox cars to illustrate a tracking shot or where the camera would go. As a parting gift, my Production Design team gave me a new set of toys, so I’m ready for the next film. 8. Over-prepare, then leave it all behind. The one thing you have before the camera starts rolling is time. Time to breakdown your script, storyboard and pre-visualize. Once you get on set and are in real locations with actors breathing life into your characters, there never seems to be enough hours in the day. Not to worry, you can throw out all your prep work and respond and adapt to the magic that collaboration brings, confident that you know what you need. In film school we worked on each other’s crews to cycle through every role on set and learn from each other. Try to master everything you can, from budgeting to scheduling, camera to sound, grip and lighting, how to transcode and edit. It will empower you to know what is possible and enable you to make creative decisions when faced with resource constraints. 10. Be open to ideas, and protect your initial inspiration. When you’re writing, get as much feedback as you can. Same goes for test screenings to refine the cut. During prep, go through the script with your actors, and make script changes if something revelatory emerges. Be open to new ideas wherever they come from, but know the film you want to make and protect your initial inspiration that brought everyone together to make the movie. 11. You set the tone. Embrace the experience of making a movie and bring your energy, inspiration, and excitement to set. Try to create an environment where your cast and crew feel free to take risks and make great work. At wrap time, I also tried to personally thank each and every cast and crew member for their work each day. Filmmaking is a collaborative medium and everybody should be treated with respect and have their efforts acknowledged. 12. Don’t compromise (until the last minute). Your creative keys don’t want you to compromise. Neither do your actors. They want you to be bold and ambitious and take chances. Most likely, they aren’t doing your project for the money, they were moved by the script or creative opportunities the film presented, so don’t compromise – at least until the last minute. Then, be realistic and embrace the idea that often the best creative solutions come from limitations. Beginning today, Schwarz’s directorial debut “The Discoverers” is available on iTunes, DVD and VOD. Find out more at www.discoverersmovie.com.